1. 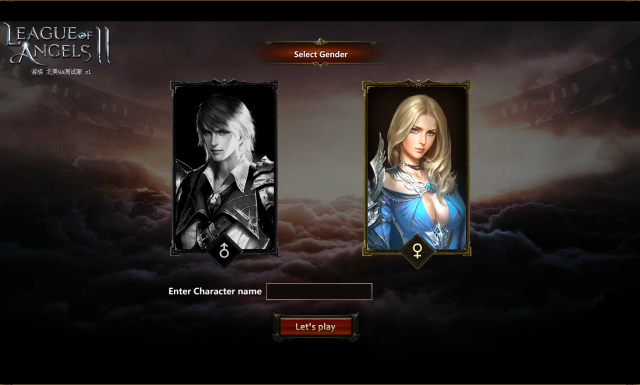 Input account and password on the login page, and click to start the game. 2. Choose your character’s gender, which has no relation with the occupation. 3. Input your character’s name, or pick a random name by clicking on the die. 4. Click on “Start” to get in the game.